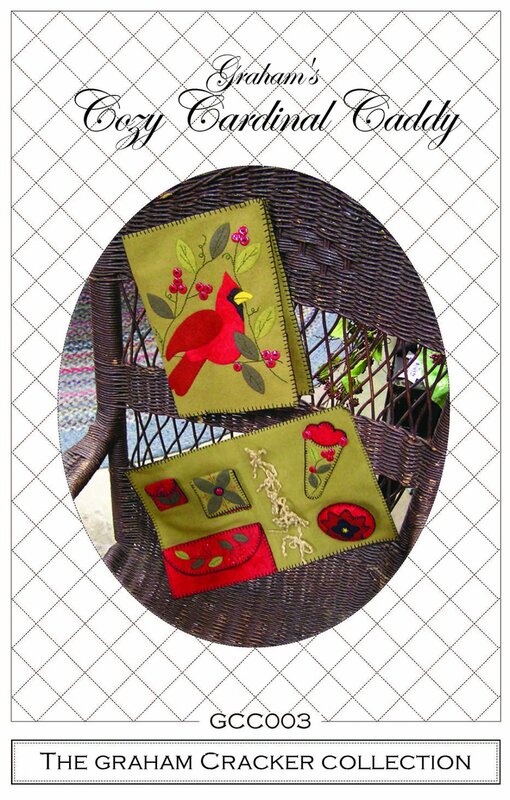 This 8 x 10” caddy includes patterns for an appliquéd cardinal, thimble case, needle case, scissors case and pincushion. Also includes a 3½ x 7½” covered pocket and thread holders for sewing extras. Although pattern was hand-stitched using felted wools, it can be easily adapted to quilting fabrics and stitched by machine.